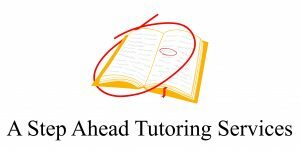 A Step Ahead Tutoring Services is a tutoring company that provides In-Home Tutoring, Test Prep, and Editing/Proofreading services to New Yorkers at affordable rates. Our mission is to tackle the academic challenge of all students and the emotional, mental, and behavioral changes that result from these challenges. In doing so, we fulfill the belief that we will improve our communities in the process.